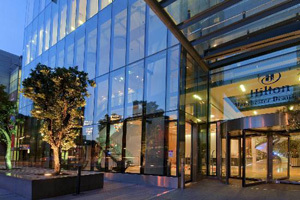 The Annual Hotel Conference (AHC) has signed a four-year deal with Visit Manchester to keep the event in the city until 2015. The deal is expected to generate £1m for the city's economy during the next four years. Hotel owners, operators, developers and investors will gather at the Hilton Manchester Deansgate on the 3 - 4 October for the eighth year of the UK hospitality industry's leading event. The 2012 event will grow in size by attracting more delegates and exhibitors than previous years. The focus for the event will be rich educational content providing the hotelier of the UK with practical information to allow them to increase revenues and reduce costs. "The AHC has really gained momentum in recent years," said Paul Simpson, managing director of Visit Manchester. "This is a great opportunity for us to showcase Manchester's £5.4bn tourism industry to AHC delegates and we look forward to welcoming them in October."